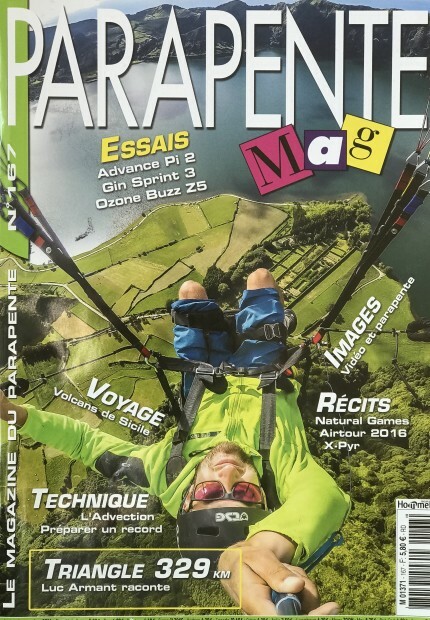 Thanks Pierre pagani and Katie Devos for the cover! 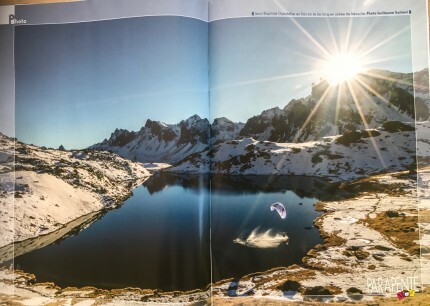 few pages in the french magazine « parapente mag » with a great photo by Guillaume galvani. 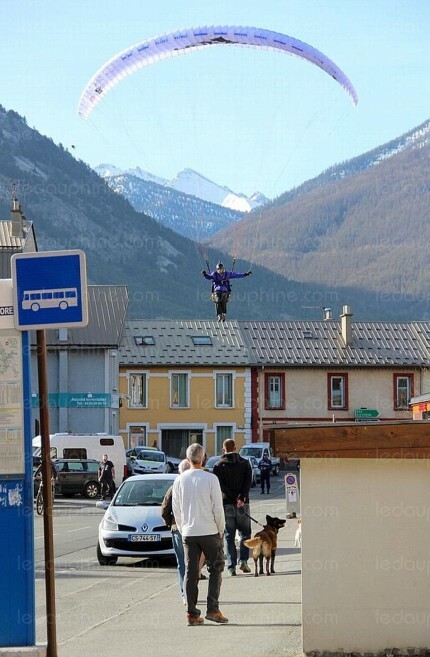 Thanks Pierre pagani and Katie Devos for the parution. 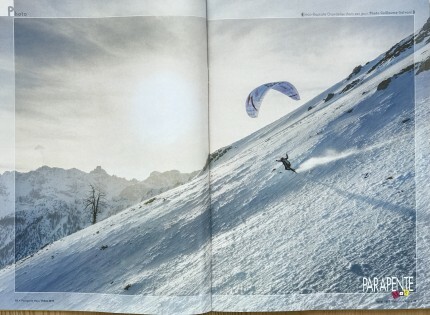 Thanks to Pierre Pagani and katie Devos for this 2 pages in parapente mag. 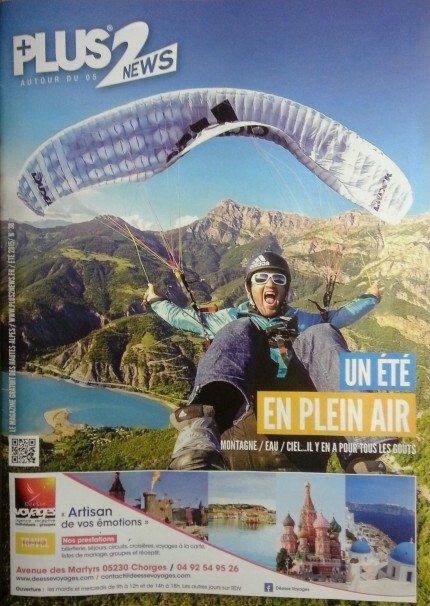 I am really proud to make the cover of the Hautes Alpes magazine « plus de news ». 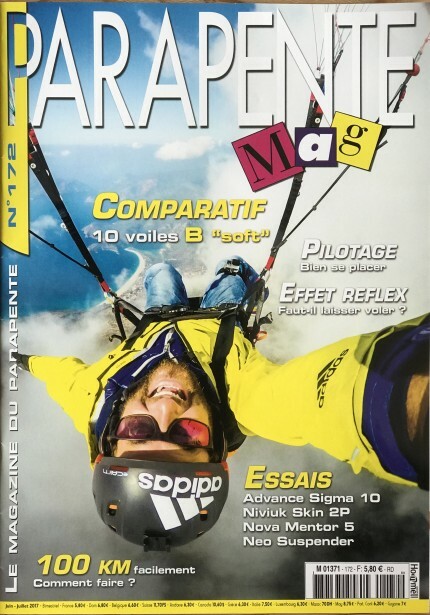 Thanks to all the plus de news magazine for the interview. 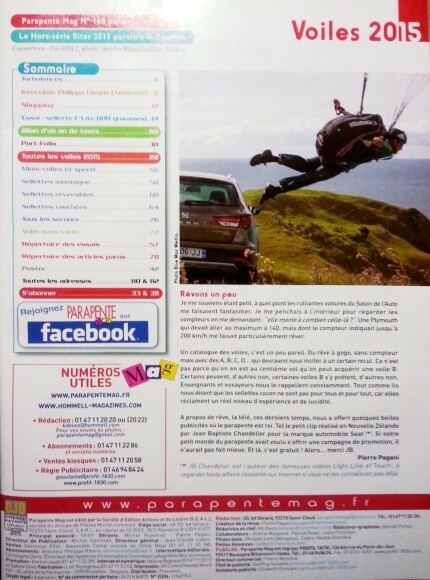 Thanks to Pierre Pagani for the introduction about my work in the Parapente Mag « hors-série ».